The Black-tailed Prairie Dog (Cynomys ludovicianus), is a rodent. They are tan in colour and have a lighter coloured tummy and a black tip at the end of their tail. Adults can weight between 1 to 1.5kg, with a body length of 35 – 42cm. The male is usually heavier than the female and they often stand at approx 10cm tall. Their eyes and ears are small, but they have good vision and hearing. Habitat: These Prairie Dogs are found on the open plains and plateaus of the Great Plains from Montana and southern Saskatchewan to extreme northern Mexico. Unlike some Prairie Dogs, they do not truly hibernate and they can often be seen above ground in the winter. Lifespan: The average life span of the Black-tailed is seven to eight years. 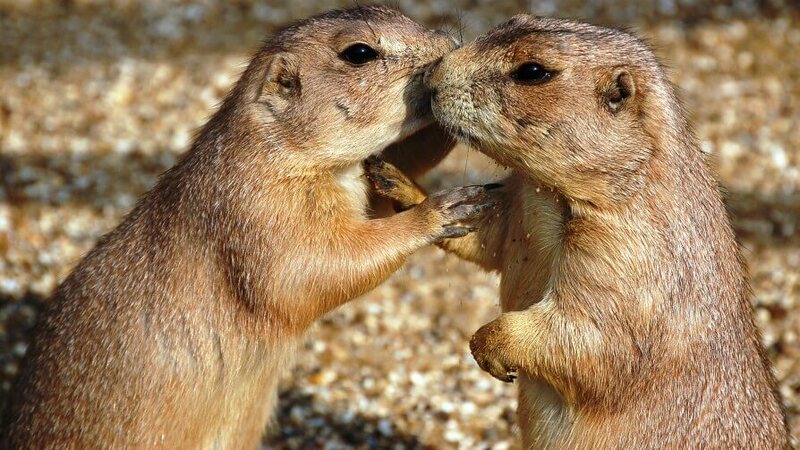 Prairie Dogs usually have a gestation period of 34 to 37 days and an average of three young. Diet: Guinea Pig mix, hay, grass, willow, leafy greens and root vegetables.